When a bereaved family says, "In lieu of flowers, memorials can be made to a non-profit organization of the donor's choice." We invite you to consider the Mount Airy Museum of Regional History. The Mount Airy Museum of Regional History is a non-profit institution dedicated to preserving the history and culture of this region. The Museum was officially organized in 1993. In 1994, a group of businessmen and women purchased and donated the historic W. E. Merritt Hardware Store on Main Street to become the official repository for artifacts of the region. In so doing, the 1905 building, made entirely of handmade brick, became one of our most valuable artifacts. Considerable work continues to be done to upgrade the building for its adaptive reuse as a Museum. The Museum's Board of Directors continually work on securing a solid foundation for the future day-to-day operations of the Museum. Memorials and Gifts in honor of the living are two resources the Board feels can become very beneficial. Located on the second floor of the Museum, is very large and attractive leather-bound book, especially designed for the Museum. It rests on an equally attractive mahogany podium crafted to display the Memorial Book for public view, at all times. 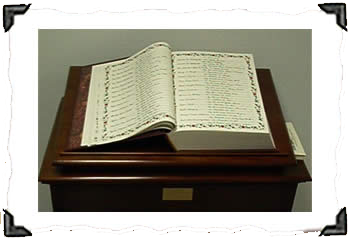 In the book are names of people who have been remembered in death with a memorial gift to the Museum, and the names of people still living, who have been honored with a gift to the Museum. The date of the gift and the name of the donor also appear in the Memorial Book. When you make a gift to the Museum in memory of someone, the family will be notified with a very nice card. When you make a gift to honor someone still living, the gift will be acknowledge to that person. Entries will then be made in the Memorial Book.